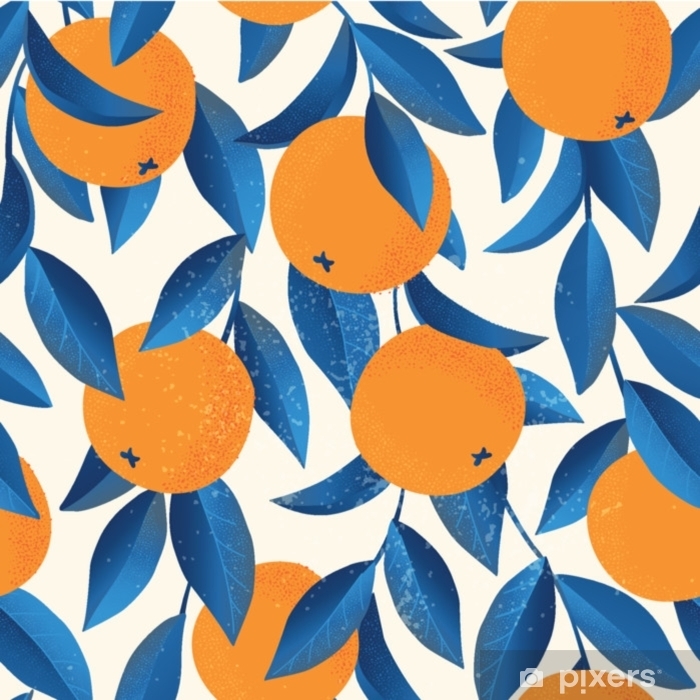 Tropical seamless pattern with oranges. Fruit repeated background. Vector bright print for fabric or wallpaper.